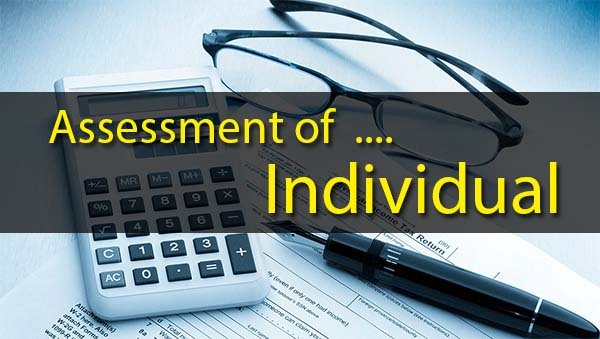 Under the provisions of section 60 to 64 of the Income-tax Act, 1961, in the following cases some incomes although accruing to other persons, but to prevent tax-evasions, are included in the total income of individual assessee (Clubbing of Income). Where there is a transfer of an income by a person to another person, without the transfer of the asset from which the income arises, such income shall be included in the total income of the transferor, whether such transfer is revocable or not and whether this transfer is effected before or after the commencement of the Income-tax Act, 1961. X who owns a house which fetches a rent of Rs.10,000 per month, declares that henceforth the rent shall belong to his friend Y but the house shall remain the property of X. In this case, because there is only a transfer of income without the transfer of the asset, the rental income shall be included in the income of X for purposes of computing his total income. Where there is a revocable transfer of an asset by a person to another person, any income arising/ derived from such assets shall be included in the total income of the transferor. in case the transfer is made before 1.4.1961, the transfer is not revocable for a period exceeding 6 years. The above exceptions are applicable provided the transferor derives no direct or indirect benefit from such income. 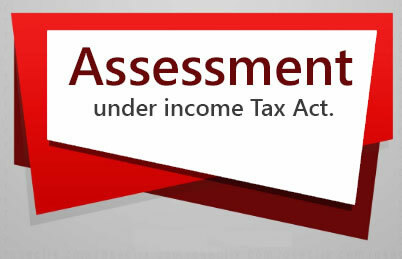 In the above cases, the income shall be taxable in the hands of the transferee. it gives the transferor a right to re-assume power directly or indirectly over the whole or any part of the income or assets during the life time of the beneficiary or the transferee as the case may be. In computing the total income of an individual, there shall be included all such sums as arise directly or indirectly to the spouse, of such individual by way of salary, commission, fees or any other form of remuneration, whether in cash or in kind from a concern in which such individual has a substantial interest. Therefore, any remuneration derived by a spouse from a concern in which the other spouse has a substantial interest, shall be clubbed in the hands of the spouse who has a substantial interest in that concern. Any other income, not specified above, is outside the scope of this section and will not the clubbed even if it accrues to the spouse from a concern in which the individual has a substantial interest. If the husband and wife both have substantial interest in the concern and both are in receipt of remuneration from the concern, then the remuneration of both shall be clubbed in the hands of that spouse whose total income, before including such remuneration, is greater. 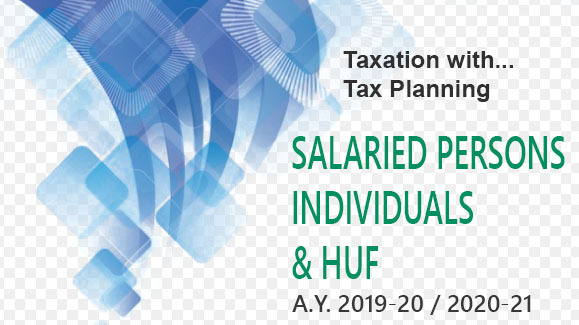 In computing the total income of an individual, all such income as arises directly or indirectly, subject to the provisions of section 27(i) (i.e. deemed owner), to the spouse of such individual from assets (other than house property) transferred directly or indirectly to the spouse of such individual otherwise than for adequate consideration or in connection with an agreement to live apart shall be included. As per this provision, if an individual transfers any asset other than house property to his/her spouse, the income from such an asset shall be included in the total income of the transferor. This provision is not applicable to house property because in that case the transferor is deemed to be the owner of the house property and the annual value of the property is taxed in the hands of the transferor as per section 27. Any income which arises from assets transferred directly or indirectly by an individual to his son's wife after 1.6.1973, otherwise than for adequate consideration, shall be included in the income of the transferor. For example, R transfers 1,000 10% bonds of Rs.100 each of IDBI to his son's wife without any consideration. IDBI declares Rs.10,000 as interest. Although the sum of Rs.10,000 as interest is received by his son's wife, this amount shall be included in the income of R under the head 'Income from Other Sources' for the purpose of computing his total income. Where an individual transfers any assets to any person or association of persons, otherwise than for adequate consideration, the income from such assets shall be included in the income of the transferor to the extent to which the income is for the immediate or deferred benefit of his or her spouse. In other words, where an asset is transferred to some other person, without adequate consideration for the benefit of the spouse of the individual as well as for some other persons, income on such an asset to the extent of benefit which accrues to the spouse, shall be included in the total income of the individual. X transfers a house to his friend Y with a direction that 50% of the rental income is to be used for the benefit of his wife Mrs. X and 50% for others, then the rental income to the extent of 50% shall be included in the total income of X. Where an individual transfers any assets, after 1st June, 1973 to any person or association of persons, otherwise than for adequate consideration the income from such assets shall be included in the income of the transferor to the extent to which the income is for the immediate or deferred benefit of his or her son's wife. In computing the total income of an individual, there shall be included all such income as arises or accrues to his minor child. Therefore, the income of a minor child is to be clubbed in the hands of either of his parents. The income shall be clubbed in the hands of that parent whose total income (excluding the income of the minor) is greater. If the marriage of his parents does not subsist, the income shall be clubbed in the hands of that parent who maintains the minor child in the previous year. Where any income is once included in the total income of either parent, any such income arising in any succeeding year shall not be included in the total income of the other parent, unless the Assessing Officer is satisfied, after giving that parent an opportunity of being heard, that it is necessary so to do. Where the income of a minor child has been included in the total income of a parent, such parent shall be entitled to an exemption to the extent of such income or Rs.1,500 whichever is less, in respect of each minor child whose income is so included. otherwise than for adequate consideration, then the income from such property shall continue to be included in the total income of the individual. In other words, if self-acquired property of an individual is treated/converted into joint family property without adequate consideration, the income derived by the joint family on account of such property shall be included in the total income of the individual who was the owner of such self-acquired property. X owns a house property from which he derives an income of Rs.6,00,000 per annum. If, he converts this property as the property of an HUF of which he is a member. Although the income shall henceforth be received by the HUF but it shall be deemed to be the individual income of X and shall be included in computation of his total income under the head 'Income from House Property'.